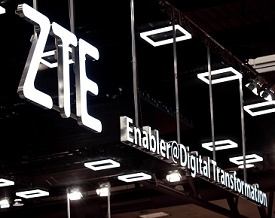 A bill reintroduced by a bipartisan grouping of US senators would reinstate ‘crippling punishments’ against Chinese telecom company ZTE if the US Commerce Secretary was unable to ensure the company’s full compliance with the terms of the agreement reached with it in 2018. ‘I am proud to reintroduce this bipartisan bill to hold the Chinese state-directed telecoms company…accountable for repeated violations of U.S. exports controls and sanctions laws,’ said Senator Marco Rubio (one of the bill’s sponsors) of the ZTE Enforcement Review and Oversight Act. ‘China’s communist government continues to threaten our national security interests through state-directed actors and, while it was a mistake to strike a “deal” with ZTE in the first place, this bill would ensure ZTE is held accountable if and when it cheats again,’ he said.